With in-house expertise of over 30 years we are able to offer flexible options for the purchase of new owner occupied premises, investment properties, re-mortgages or capital raising with interest only facilities available. Over recent years the Investment property market has become more highly regulated and we would recommend you familiarise yourself with requirements on property certification and identification of tenants as to their right to residency as this can lead to heavy fines. The services of a competent Commercial Property lawyer are always recommended. Facilities are available on a secured basis with loans available up to 80% of the property value on a full repayment or interest only basis, although with the latter the lender will need to understand your eventual repayment vehicle. Some lenders will consider small portfolios of up to 5 under their standard mortgage criteria although most lenders if this is your main income source work on a net rent basis, generally between 70-80%, to take into account normal maintenance and taxation and will stress test repayment figures with a nominal base rate of between 3.5-4% to take into account possible future interest rate rises. 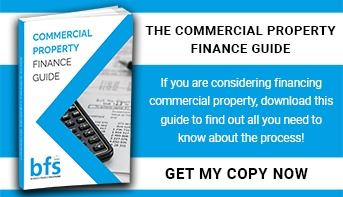 The financial conduct authority does not regulate some types of commercial mortgages.